Welcome to Alive After 5’s advent calendar, the ultimate guide to grabbing Christmas by the baubles in Sheffield. Every day in December we will be bringing you gift inspiration, entertainment options and places to find festive food and drink, so you can enjoy Sheffield after 5pm during the Christmas period. If you love Christmas in Sheffield, look out for a copy of This Is Sheffield at Christmas, which can be found at businesses, tourist spots, and transport points across Sheffield, including the Winter Garden. Just off Fargate, Chapel Walk is one of Sheffield’s most unique streets, and has been a shopping staple in the city for hundreds of years. Renowned for its independent businesses, Chapel Walk is home to a gift shop, card shops, tech shops, eateries and more. If it’s an unusual gift you’re after this year, head to one of Chapel Walk’s indies, all manned by passionate staff who will help you pick the perfect present for a loved one. Although affected by building work Chapel Walk is still very much open for business, pop by and see what’s on offer. 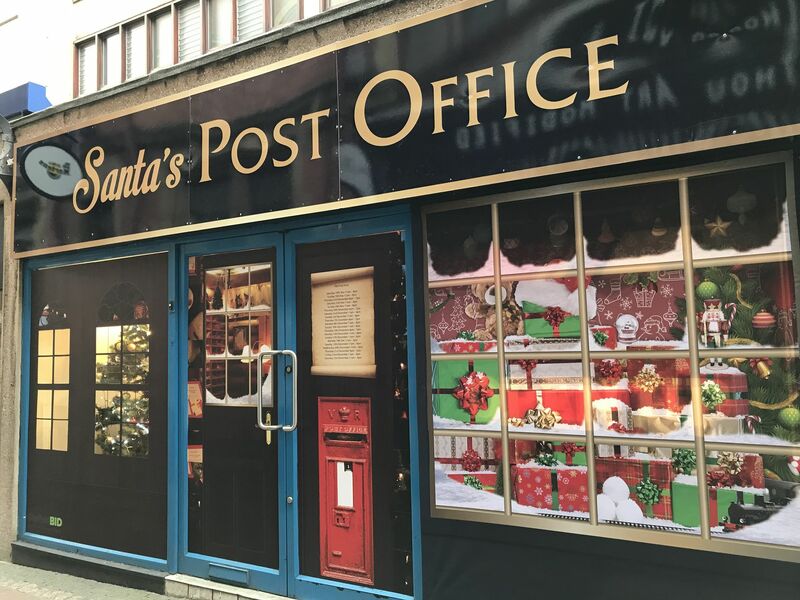 For those out Christmas shopping with little ones, Santa’s Post Office – next to Dr Martens – is the ideal festive stop off. Pop in and meet the elves, who will help children write their letter to Santa before posting it off to Lapland. Children will be able to watch their letter on its journey to Lapland (as parents are sneakily handed a reply). For more news and updates on shopping in Sheffield city centre, head to Alive After 5’s shopping section.